Simply slide the winch hook into the tapered grove, while standing safely on the dock. 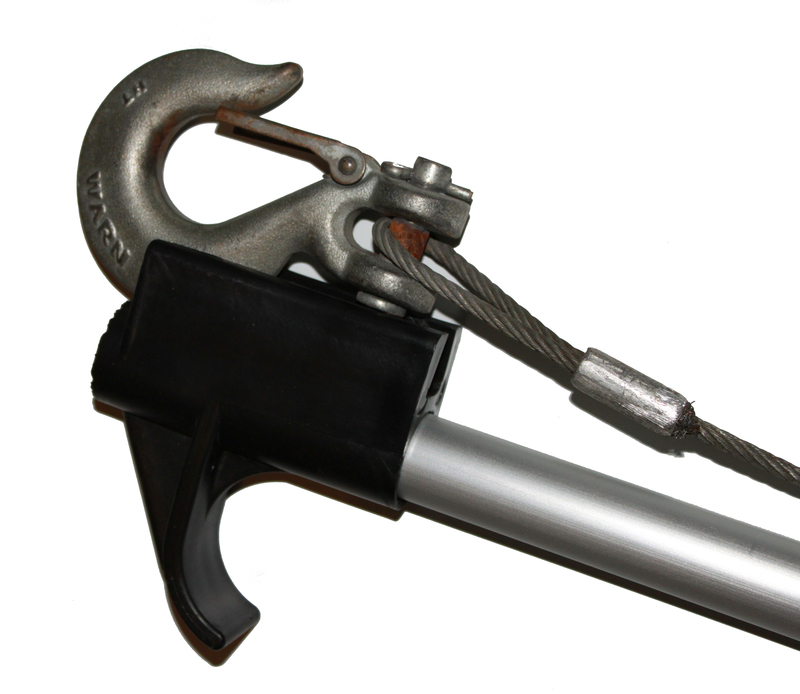 Use the Hook Stick to insert the winch hook into the eye, on the front of your boat. Click image for close-up view.